Is it ‘endogenous depression‘ that is the result of illness or profound chemical changes in the body causing depression that currently requires to be treated by medication? Or, is it the kind of depression that is called ‘reactive depression‘ that is the result of a person experiencing trauma or loss which then activates the depressive symptoms? Don’t come off your medication in either event. The first type, ‘endogenous depression‘ can hypnosis help you? Possibly! But it requires a lot of work using self hypnosis, visualisations, affirmations and changing your breathing. It certainly has been done, and I can give you information about people that have done just that. I can help you relax and teach you self hypnosis and work with you showing you what you need to do, but there is no magic wand – you need to do the work consistently. The second type, ‘reactive depression‘ that activates the depressive symptoms through a past happening is the topic of this article. Whether the issues arose as psychological reactions to a situation or are due to a physical condition is immaterial. Each person suffering from depression can benefit working with a hypnotherapist trained to guide people through the experience. How do these things affect us? Trauma is when something has happened to you or you saw something traumatic happening to someone else, and at the time it happened, you felt very threatened and unsafe or helpless. Memories of the event can bring up feelings of helplessness, fear, even horror – just like you are reliving the original ordeal all over again. These feelings can sometimes continue long after what happened (the traumatic incident or incidents that made you feel unsafe initially), and can eventually lead to feelings of depression. This is what is called ‘reactive depression’. In other words, the depression only came about after something happened to you. In some cases when people still have these reactions long after what caused the initial trauma, then they may have what is commonly diagnosed as Post Traumatic Stress Disorder (PTSD). Quote “Recent advances in neuropsychology and brain imaging have opened new doors to our understanding of PTSD and other anxiety-related disorders. We now know that the symptoms associated with this condition closely interweave with memory circuits in the limbic system of the brain. A working premise forthcoming from this body of research is that: Although PTSD is triggered by trauma, it is really a disease of memory. The problem isn’t the trauma; it’s that the trauma can’t be forgotten! More specifically, the emotional charge of the memories remains hair-trigger and consequently intrudes into numerous activities of daily living.” Unquote. Personally, I wouldn’t call it a disease. I would call it a dis-ease of memory. I am always amazed at how resilient we are and how quickly you and I are able to release that dis-ease given the information that allows that to happen. For the feelings (symptoms) to be diagnosed as PTSD, a person would be displaying a number of reactions that come from the original trauma (the traumatic thing or things that made them feel unsafe). For example, re-experiencing what happened in their mind and avoiding anything that may remind them of what happened, and this can cause them to have sleeping problems and symptoms of jumpiness or lack of energy etc. these are all part of the symptoms of PTSD. Many events that adults may not see as traumatic are experienced by children as traumatic. In fact, many adults do not realize that what to them are seemingly harmless events may be very traumatic for a child. For example hospitalisation; a child with a broken leg may assume that her/his leg cannot be fixed, yet adults may be unaware that the child is even imagining such a thing. Note* these feelings and reactions can also occur without any obvious link to an unsafe happening. What types of Traumas are there? Exposed to violence and persistent fear as a child. Separation from parents (feeling as though you have been abandoned). Death of a friend, family member, or pet. Sexual Assault (Child or Adult). Victim of a Hold-Up (gun or knife or other weapon). A move to a new location (or school for a child). Generalised Anxiety not dealt with. Car or work-related or other serious accident. Natural disasters like Bush Fires or Floods. And there may be others that have been omitted here. Loss is the disappearance of something cherished, such as a person, pet, possession, property or life style. To be deprived of something. A happening causing a person to lose something important to them. Suffering caused by losing or being lost. What types of Loss are there? And there may be others we may have omitted to list here. Reactive depression is especially common in Australian women mainly because Australia is comprised of a wide ethnic mix of people resulting in women’s liberation being years behind countries such as North America and Europe. In Australia, some girls as they grow up are sent double messages. Girls are told they can be or achieve anything yet once they venture out into society they soon find out that they are still seen by society as of less social standing, work, economic, religious and political importance. This has resulted in some women believing that to survive they should not pursue power over their own lives. This loss of their belief that they can be anything they want to be results in a loss of self image and has resulted in many women having low self esteem and feeling depressed. If you have had any of the above problems for any length of time, it would be advisable for you to contact your health practitioner and get a check up. If you have experienced any trauma or loss similar to those mentioned above, don’t forget to mention this to your doctor. Hypnotherapy can help people affected by trauma and loss experiences. Doctors can help with medication and by recommending that the person consult a hypnotherapist. Hypnotherapy by someone trained to help you deal with these things can help you to identify the problem and how to deal with your concerns. 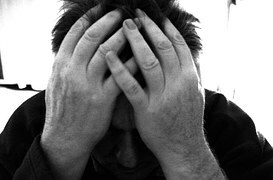 Hypnotherapy can provide specialised trauma/loss-release treatments. Hypnotherapy can also help you to resolve feelings and move forward after a trauma or loss. Hypnotherapists can also provide people with practical support such as teaching relaxation and stress management through Self-Hypnosis. Hypnotherapy has been shown to help people to experience and create cognitive and behavioural change. Through hypnotherapy people learn to change their interpretation of personal experiences, and in recent years substantial high-quality research has assessed treatment of depression with clinical hypnosis contributing to be cost effective in improving therapeutic outcome. A Russian Scientific research has shown that your DNA can be reprogrammed by words and frequencies in a deep relaxed state. That is one of the reasons why hypnotherapy assists you to make changes easier.